Formed in 1772 as Charlotte County, Washington County, NY is home to many communities that shaped the region’s rich history and culture. Today, the county’s past is preserved at multiple museums and historic sites that are waiting to be explored! 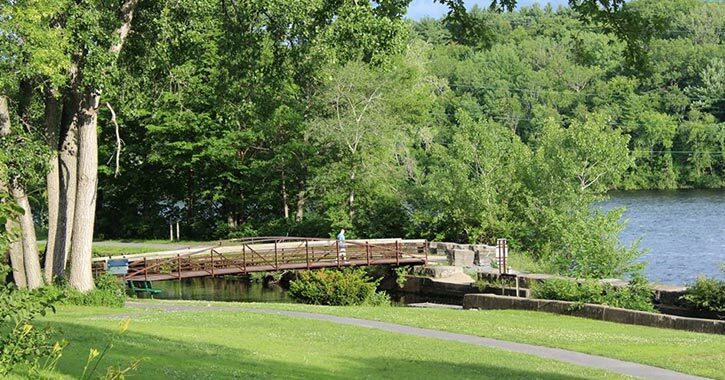 For a truly unique adventure with the family, drive east of Glens Falls and forge a path through the history of Washington County. Nature is both strange and beautiful, and it’s also an extremely fascinating subject to learn about. In Granville, the Pember Library and Museum houses one of New York State’s largest natural history collections with over 7,000 specimens, many of which are on display. The Pember was established in 1909 by Granville native Franklin Pember and his wife Ellen Wood Pember. Franklin Pember was an avid collector of natural history and cultural objects from the area and around the world, and his personal collection became the basis for the present day exhibits. 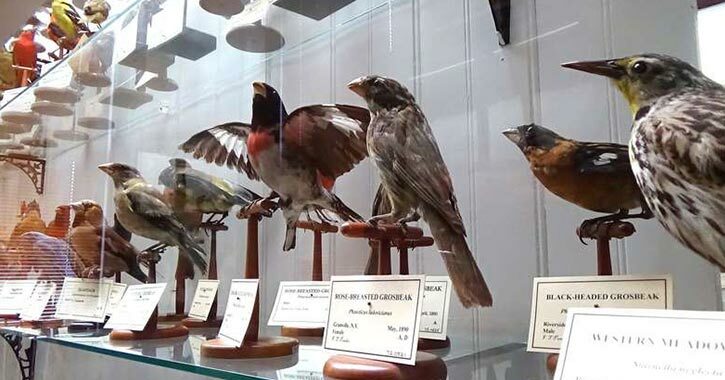 When you visit the Pember, you’ll have the opportunity to see everything from vertebrate (birds, mammals, and reptiles) and invertebrate animals (insects, arachnids, etc.) to rocks and minerals, fossils, and dried plants. There are native animals, rare and exotic mammals, and even some hands-on specimens that kids are encouraged to touch, such as skulls and pelts. Best of all, the Pember offers programs and activities year-round, and visitors are welcome to explore the nearby Pember Nature Preserve for an outdoor adventure among local wildlife. Business Info: The Pember is open year-round on Tuesday - Friday, 1:00pm-5:00pm, Saturday, 10:00am-3:00pm, and it is closed on Sundays, Mondays, and holidays. For more information, call 518-642-1515. Many know Granville as the Colored Slate Capital of the World for its unique quarries that produce stone in multiple colors, such as purple, green, gray, and red. The quarrying community was built on the foundation of the local slate industry, a history that is celebrated at the Slate Valley Museum. 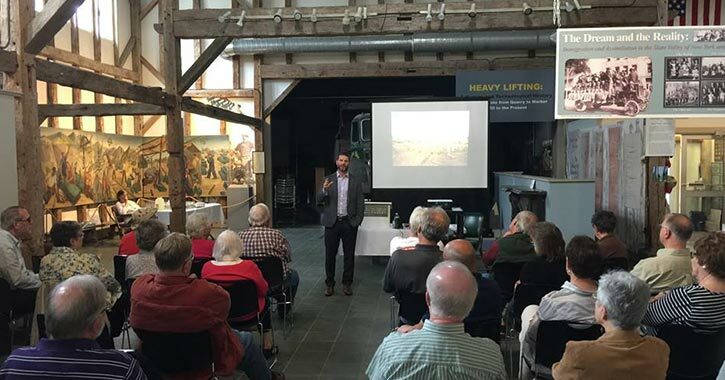 This museum's mission is to collect, conserve, and exhibit the history of slate quarrying and the role it played in the Granville area, nicknamed Slate Valley. There are historic objects from old slate mills, interpretive displays, a quarry shanty complete with tools and machinery, and more. To get the full experience, you can attend some of their exciting programs and special events that are held throughout the year. From hands-on activities to reenactments, stop by the Slate Valley Museum for educational and family-friendly fun! Business Info: The Slate Valley Museum is open year-round on Tuesday - Friday, 1:00pm-5:00pm, Saturday, 10:00am-4:00pm, and it is closed on Sundays, Mondays, and some holidays. For more information, call 518-642-1417. The Georgi on the Battenkill in Shushan is located just west of Vermont and features a unique collection of historic items in its museum. Owned and operated by the Town of Salem, the Georgi Museum studies, conserves, and displays objects from the Georgi Collection, which currently includes gems and minerals, medieval panel paintings, Asian screens, and much more. 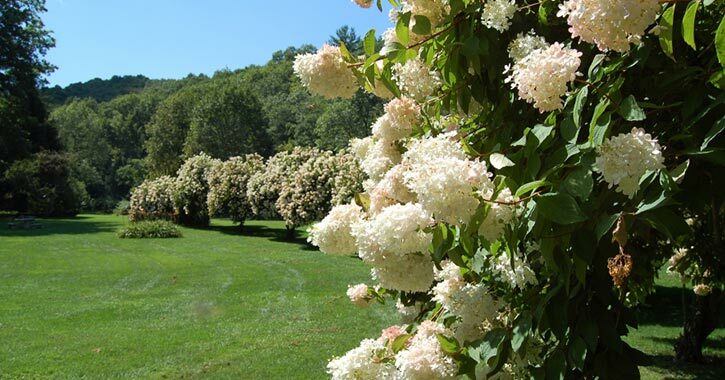 After you explore the museum, take a walk through the on-site Community Park, which has 60+ year-old hydrangea trees and beautiful gardens. Pets must be leashed. Business Info: Each year, the Georgi opens in April. For more information, call 518-854-3773. The Glens Falls Region’s Feeder Canal was built in the early 19th century as a transportation route for canal boats to the historic Champlain Canal near Fort Edward and Whitehall. From the Feeder Dam and Hudson River in Queensbury, the canal traveled east through Glens Falls and Hudson Falls for about 7 miles until it joined up with the Champlain Canal. In 1832, multiple locks were added to the Feeder Canal, and the waterway was widened to accommodate increased boat traffic. Although the transportation of goods is no longer its main purpose, the canal and its towpath are open for public recreational activities today. While some choose to walk/bike/run along the 9-mile towpath, others travel along the canal by kayak or canoe, giving them a similar experience as those who originally used it. During the French and Indian War, Fort Edward was one of the British army’s most prominent strongholds. The community was once the third largest “city” in colonial America and featured an army base of operations on Rogers Island. Of particular note, Major Robert Rogers, a colonial frontiersman in the British army, developed and trained a special forces group called Rogers’ Rangers that would employ frontier warfare and unconventional tactics in the war. Rogers would write a Ranging Rules handbook that is used by the modern day U.S. Army Rangers. To preserve the history of this community, the Rogers Island Visitors Center in Fort Edward features artifacts and displays that tell a story of the region’s early Native American inhabitants and the town’s military role in the French and Indian War. Business Info: Rogers Island Visitors Center is open May 1 - October 31, and their hours of operation are Monday - Saturday, 10:00am-4:00pm, and Sundays, 1:00pm-4:00pm. For more information, call 518-747-3693. There’s a reason why Washington County is known as an agricultural county. When you drive through the countryside, you’ll quickly come upon beautiful pieces of farmland all around the region. That’s because farms were a key part of the local economy from the 1800s-1940s, and are still thriving today! The artifacts of this rural and agricultural past are on display at the Washington County Fair Farm Museum, located at the Washington County Fairgrounds. This museum showcases many aspects of farming, including dairy, crop production, ice harvesting, potatoes, and more. The Farm Museum’s collection is composed of items that were used or manufactured in Washington County in the 19th and 20th centuries. 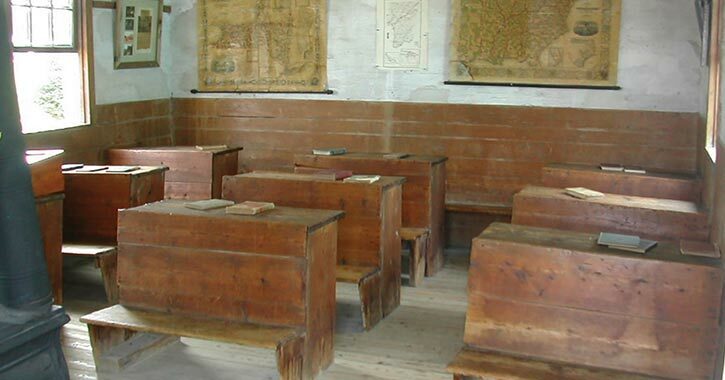 Check out the tools, inventions, and authentic buildings within the museum complex, such as a one-room schoolhouse with original wooden desks (named Perkins Hollow). Business Info: The Washington County Fair Farm Museum is open May - October, 10:00am-3:00pm on certain dates in May, June, July, August, and September. The museum can also accommodate educational and group/family tours by appointment. For more information, call 518-692-2464. Step back in time at the Cambridge Historical Society & Museum in Cambridge. 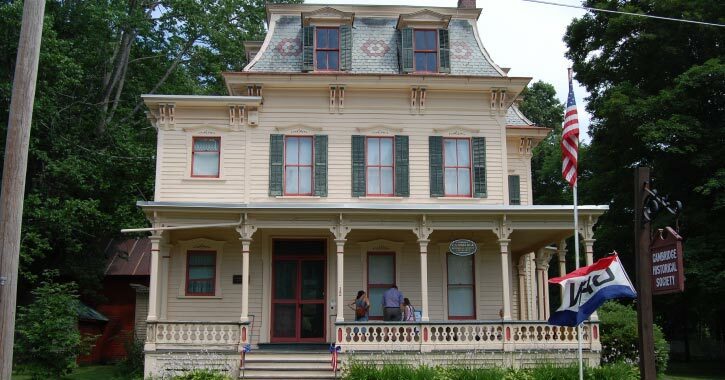 The museum is located inside an 1869 house built by John Smith, an officer of the Cambridge Valley Bank, and it stands today as an example of period architecture. It features a mansard roof, a wrap around veranda, and a front door with leaded glass windows. 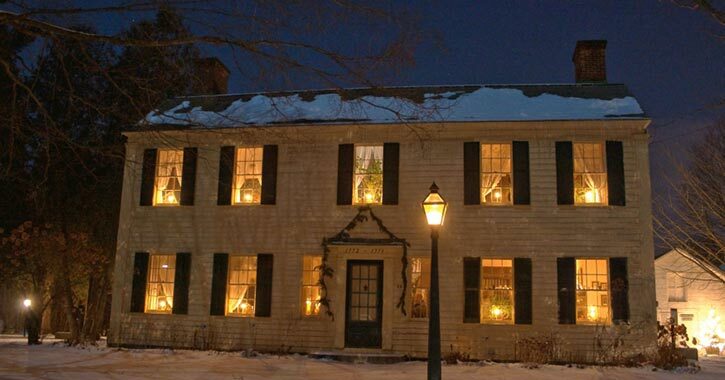 The house is currently managed as a museum by the Cambridge Historical Society, which is dedicated to preserving the site and its historic displays. When you walk through the former house, you’ll find rooms that are filled with 19th century Cambridge-made Barton Furniture, Revolutionary and Civil War memorabilia, 19th century textiles and clothing, and decorated bedrooms that give a glimpse of the way things were. Business Info: The Cambridge Historical Society & Museum is open June 1 - November 1 on Tuesdays and Saturdays from 1:00pm-3:00pm (or by appointment). For more information, call 518-677-3327. 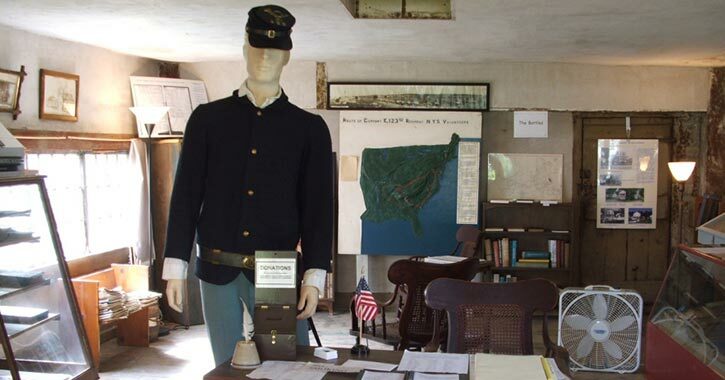 Explore multiple historic buildings in one location when you visit the Old Fort House Museum in Fort Edward. This building complex features everything from an old 1772 home to an original 1848 toll house, a garden, and more. In addition to the buildings, there are some major exhibits on display. The Old Fort House Museum houses a permanent exhibit on Solomon Northrup’s life, and the Dutch House has a special exhibit about the role of local women in the suffrage movement. Business Info: The Old Fort House Museum is open seasonally from June - October, as well as year-round by appointment for school and educational group tours. For more information, call 518-747-9600. You might be surprised to hear that New York State’s last remaining Civil War Enlistment Center is actually located in Hartford, but it’s true! 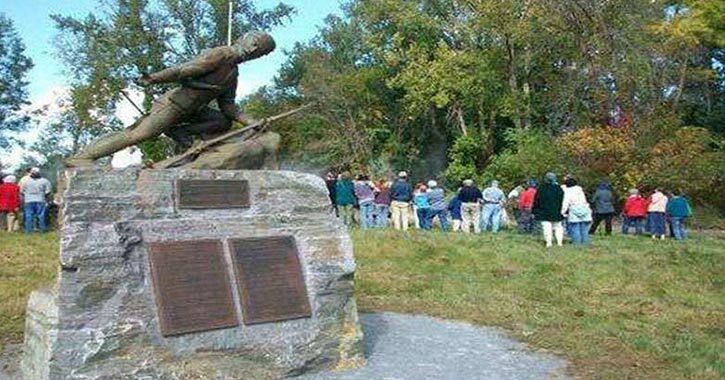 The Howard Hanna Memorial Civil War Enlistment Center is part of the Hartford Museum property, and it highlights the 3,000-mile journey of the 123rd Regiment of Company E NYS Volunteers as they traveled from Hartford to participate in the Battle of Gettysburg. The center’s collection brings to light the stories of these soldiers and their equipment. While you’re there, be sure to visit the neighboring Hartford Museum, which is recognized as the oldest house in Hartford! Managed by the Hartford Historical Group, this museum features a variety of exhibits on the development of industry and colonial life in the area. Business Info: The museum and enlistment center are open on Sunday afternoons from 1:00pm-4:00pm in both July and August, and they are also open by appointment. For more information, call 518-632-9151.